Everyone looking forward to a long weekend? I’ve got my daughter coming in for a long visit, so I’m very excited. Hope you also get some time off, and get to be with those you love. On April 15, 1912, about 400 miles south of Newfoundland, the RMS Titanic hit an iceberg and quickly took on water. 1500 lives were lost when the British luxury liner RMS Titanic sank during its maiden voyage from Southampton, England to New York City. The disaster and the mythology that quickly surrounded the sinking of a modern “unsinkable” marvel are still fascinating today. Learn more at today’s Titanic picks. The law firm of Anderson Kill & Olick created this mock trial website “to help illustrate in a fun interactive manner how the U.S. legal system works and the important role played by the people who serve on juries.” Using facts based on the Titanic tragedy, the plaintiff is a survivor suing White Star Lines (the Titanic’s owner) on behalf of her fiancé, a victim whose body was never recovered. There is a teacher guide explaining how to run the mock trial in a classroom in as little as forty-five minutes, or spread out over a week. “Inquiries held in the United States and Great Britain alleged that the Leyland liner Californian, which was less than twenty miles away all night, could have aided the stricken vessel had its radio operator been on duty and thereby received the Titanic’s distress signals.” Britannica Encyclopedia presents an excellent, illustrated slide show and a single-page hyperlinked overview that will be a good resource for school reports. 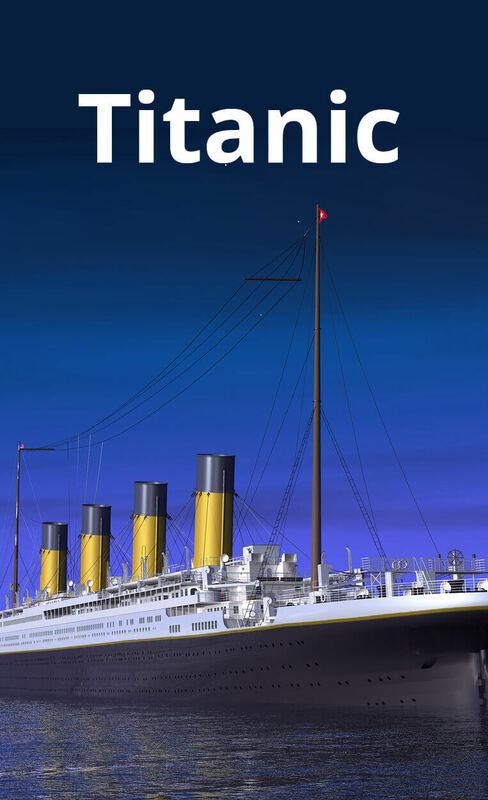 Was Titanic, the 1997 James Cameron movie that won eleven Oscars, based on a true story? No, the movie told a fictional love story “intertwined with a chronicle of the April 1912 Titanic sinking.” How realistic was the movie? For answers to these questions we turn to Chasing the Frog, a website that examines movies based on true stories. Visit to compare and contrast the movie characters with their real counterparts. Note: not all the films reviewed at Chasing the Frog are appropriate for children. “We don’t receive wisdom; we must discover it for ourselves after a journey that no one can take us or spare us.” ~~ Marcel Proust ~~ (July 10, 1871 – November 18, 1922) French novelist, essayist, critic. You will find this quote among many other quotes about wisdom on Lightafire.com.